From the 1940s to the 1970s, the phonograph industry experienced phenomenal growth, both in sales and in cultural influence. 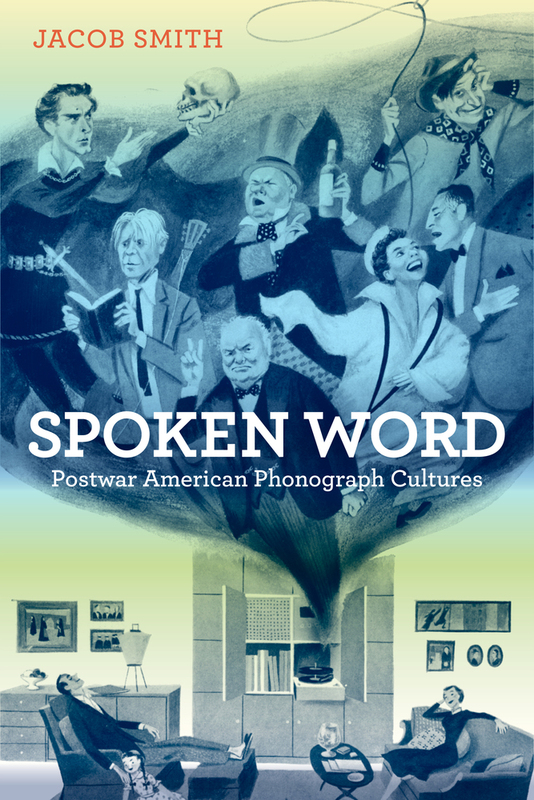 Along with hugely popular music recordings, spoken word LPs served a multitude of functions and assumed an important place in the American home. In this book, Jacob Smith surveys a diverse range of spoken word genres—including readings of classic works of literature and drama, comedy albums, children’s records, home therapy kits, even erotica—to illuminate this often overlooked aspect of the postwar entertainment industry and American culture. A viable alternative to mainstream broadcasting, records gave their listeners control over what they could hear at home. Smith shows how the savvy industry used spoken word records to develop markets for children, African Americans, women, and others not well served by radio and television. Jacob Smith is Assistant Professor in the Department of Radio-Television-Film at Northwestern University and is the author of Vocal Tracks: Performance and Sound Media (UC Press). “Jacob Smith’s engaging study of spoken word LPs is as revelatory as it is welcome. No other book has so thoroughly explored a phenomenon that was unique to the 1950s and 1960s, when LPs were the only widely available medium that allowed consumers to enjoy repeated exposure to recorded material. "Smith's work contains historical material that few scholars have studied and many people have never even heard of. ... The grouping of these unique case studies results in new connections to and between various performance styles, materials, and industries."